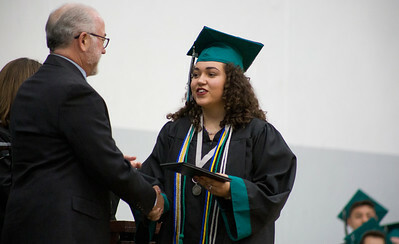 Mike Greene - For Shaw Media Spencer Alvarez receives her diploma during graduation ceremonies for Woodstock North High School Saturday, May 20, 2017 in Woodstock . 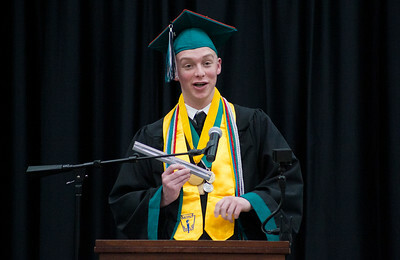 Mike Greene - For Shaw Media Salutatorian Alec Molve uses a ruler as a prop while giving his speech during graduation ceremonies for Woodstock North High School Saturday, May 20, 2017 in Woodstock . 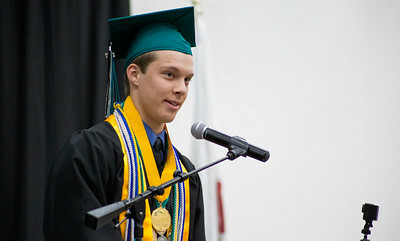 Mike Greene - For Shaw Media Valedictorian William Taylor speaks during graduation ceremonies for Woodstock North High School Saturday, May 20, 2017 in Woodstock . 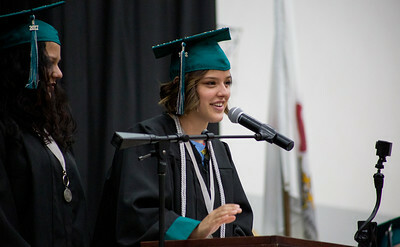 Mike Greene - For Shaw Media Student council members Landis Delgado, right, and Paige Delgado speak during graduation ceremonies for Woodstock North High School Saturday, May 20, 2017 in Woodstock . 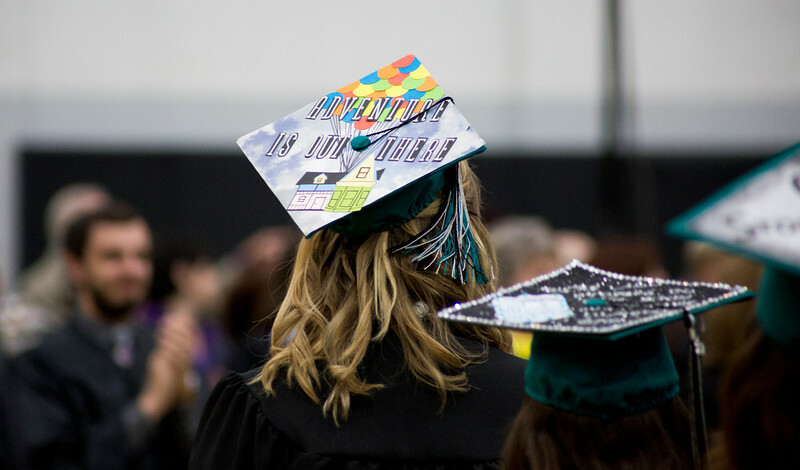 Mike Greene - For Shaw Media Decorated mortarboards are seen on display during graduation ceremonies for Woodstock North High School Saturday, May 20, 2017 in Woodstock . 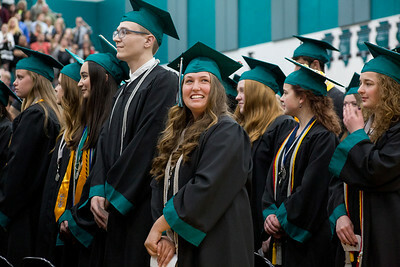 Mike Greene - For Shaw Media Students find their seats during graduation ceremonies for Woodstock North High School Saturday, May 20, 2017 in Woodstock . 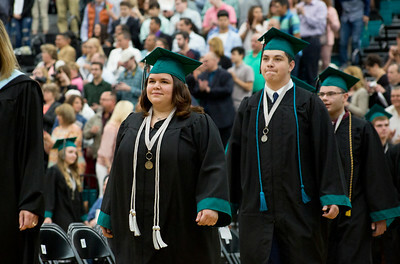 Mike Greene - For Shaw Media A student looks up into the crowd during graduation ceremonies for Woodstock North High School Saturday, May 20, 2017 in Woodstock . 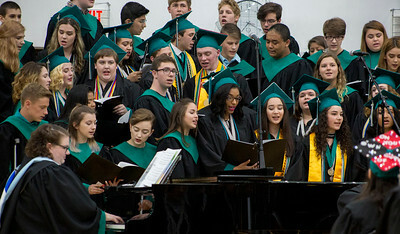 Mike Greene - For Shaw Media Graduating seniors join the varsity choir in a presentation of the song "Long Live" during graduation ceremonies for Woodstock North High School Saturday, May 20, 2017 in Woodstock . 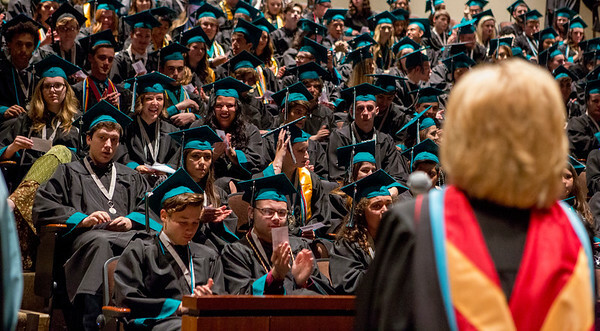 Mike Greene - For Shaw Media Students listen to an address by Principal Darlea Livengood while waiting in the auditorium before the start of graduation ceremonies for Woodstock North High School Saturday, May 20, 2017 in Woodstock . 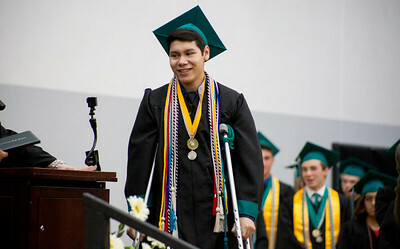 Mike Greene - For Shaw Media Alexis Ayala prepares to receive his diploma during graduation ceremonies for Woodstock North High School Saturday, May 20, 2017 in Woodstock . 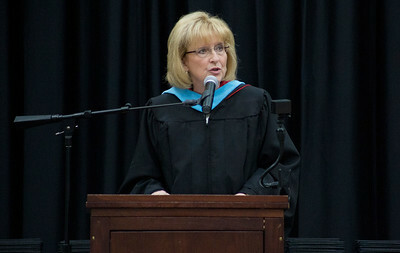 Mike Greene - For Shaw Media Principal Darlea Livengood speaks during graduation ceremonies for Woodstock North High School Saturday, May 20, 2017 in Woodstock . Decorated mortarboards are seen on display during graduation ceremonies for Woodstock North High School Saturday, May 20, 2017 in Woodstock .